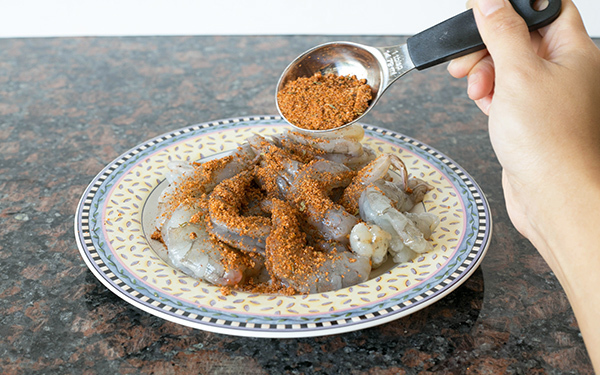 Shrimp was one of my favorite foods growing up Southeast Asia. 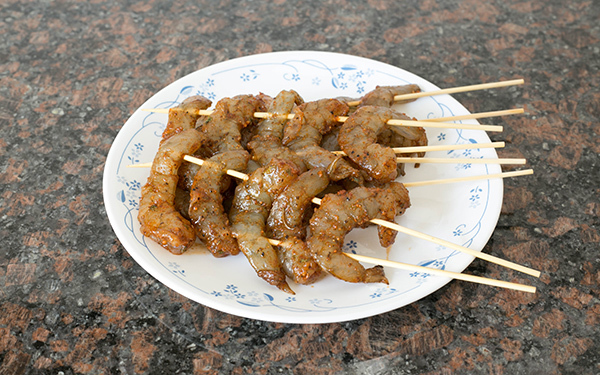 Since land animals like beef and lamb are expensive compared to seafood, shrimp as an important source of protein in that part of the world. In America, shrimp accounts for 25% of all seafood purchased. 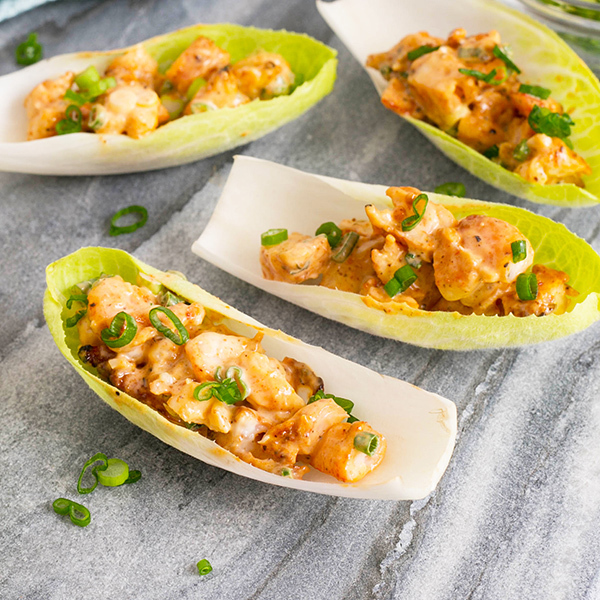 Whether fresh or frozen, it's America's favorite bounty from the sea and it's low in saturated fat, packed with protein, and a good source of zinc, iron, selenium, omega-3, and B12. 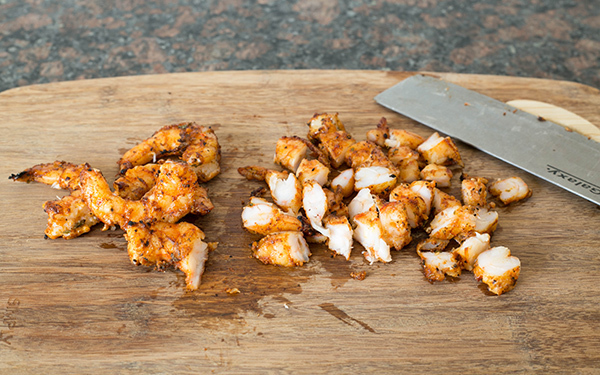 Here's an easy grilled shrimp recipe using just a few ingredients. 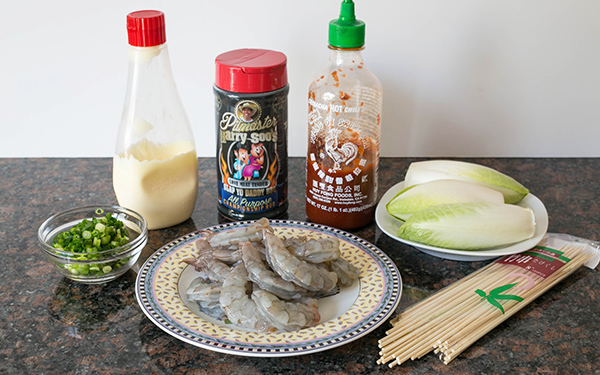 It's basically a super-easy delicious grilled shrimp dish with a quick sauce of Sriracha and mayo. 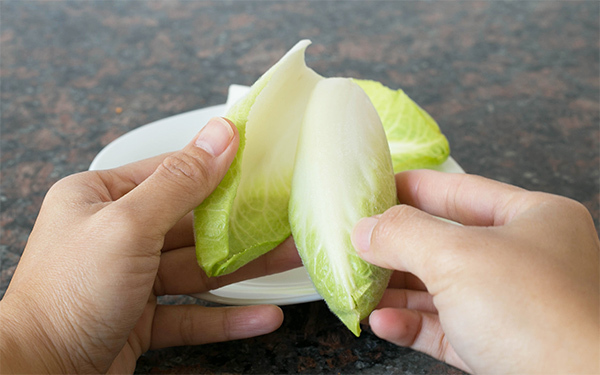 When you serve it in an Endive boat or lettuce cup, you take the presentation to the next level. We all eat with our eyes so these are pretty and yummy. 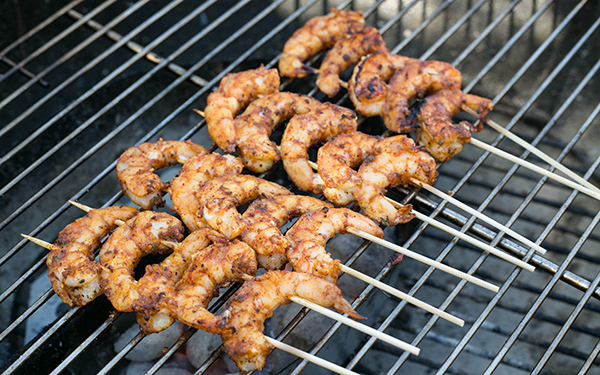 Grill shrimp over hot coals until done. You can get about 5 on 2 skewers to make it easy to turn. Try to get some char but be careful not to overcook else it will be rubbery. Reserve 1 Tbsp. green onion tops for garnish later. 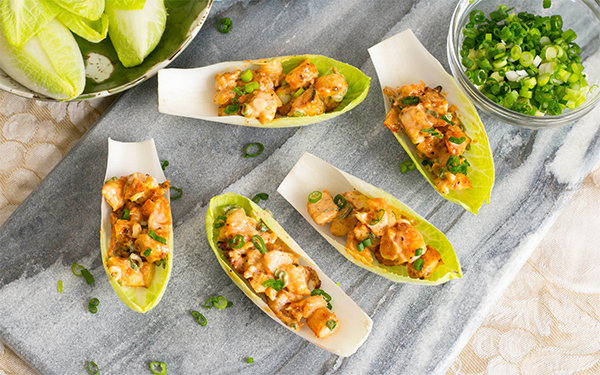 Combine remaining green onions with mayo and Sriracha sauce in a bowl. Mix in the chopped grilled shrimp.